- Mick Foley made a brief appearance on The Today Show on NBC Saturday morning to promote WWE Tribute to the Troops and his new "A Most Mizerable Christmas" children&apos;s book. Clips of Foley dressed as Santa were shown and he had a brief opportunity to discuss how his children&apos;s book tied in with the "be-a-STAR" anti-bullying campaign. A one hour version WWE Tribute to the Troops 2012 will air Saturday night on NBC at 9 PM EST. - WWE touted the fact their new App was downloaded over 151,000 times during this week&apos;s WWE Raw featuring the 2012 Slammy Awards, giving them over 3 million total downloads. - The preliminary buyrate for WWE Survivor Series 2012 was revealed in the company&apos;s latest key performance indicators. The show did an estimated 212,000 buys, down from the 281,000 the show did last year and the 244,000 the show did in 2010. Survivor Series 2012 featured a public blowing up of the main event plans which is the same event which saw the in-ring return of The Rock last year. - Jim Ross posted a new blog entry on his official website on Friday at this link. Did you know you can keep up with all of JR&apos;s updates as well as all our updates and news from several other credible sources over at WrestlingNews.net? - The New Age Outlaws, who are now both employed by WWE in other roles, are advertised to appear at next Thursday&apos;s Raw live event from Madison Square Garden in New York City. For local promotional information, click here. - WWE has announced a live event from the La Crosse Center in La Crosse, Wisconsin on March 9th, 2013 at 7:30 PM. Tickets go on sale January 11th, 2013 at 11 AM. "It&apos;s definitely been a Cinderella year for me," says Lee, born April Mendez, who will be a part of the action when the WWE&apos;s Holiday Tour hits Joe Louis Arena Wednesday. "It&apos;s been my dream come true. I feel like I was sitting at home writing this myself. It doesn&apos;t feel real, that someone has let me do all this stuff." "Every time a chapter closes, I keep thinking it&apos;s over," says Lee, who oftentimes skips to the ring, an expression of youth that counterbalances the testosterone-driven environment around her. "I&apos;m grateful and prepared for it to be the end of the road, and for me to disappear or something. But I don&apos;t, and then something really cool happens. So I&apos;m going to keep that attitude, because it seems to be working. - The Express Tribune is reporting that New Japan Pro Wrestling founder and WWE Hall of Famer Antonio Inoki has converted to Islam and changed his name to Muhammad Hussain. Hussain was in Pakistan on Friday for an international wrestling competition. "That’s what I’ve asked for," The Miz said in a phone interview while driving to Philadelphia. "I’ve asked to be a WWE Superstar, so to just sit here and complain about, ‘Oh, I never get a day off, I’m so tired.’ No. I want it. Give it to me. I want to be the biggest star WWE has ever created. So in order to do that I need to do everything." "Anytime you are in the ring with the Rock or John Cena, you have to shine. You have to basically show what you got. And I think I did that," he said. "So whenever I got the microphone and got to be able to talk to the Rock or John Cena, I think I stood my ground and I think by the end of it, people weren’t talking about the Rock or Cena, they were talking about the Miz. And I’m still talking about it to this day. The Miz retaining the WWE Championship, not once but twice, at WrestleMania 27. I mean, I made history that day. So I get to brag about that for the rest of my life and you will hear me brag about that for the rest of my life because it’s something I’m proud of." "It’s kind of weird because I’ve done nothing different. I’m still the same exact cocky, arrogant, egotistical person I was before, it’s just now maybe the fans are starting to understand me and cheer me because, to me, I’ve never been a bad guy. I’ve always been a good guy," he said. "I’ve done what I’ve had to do to win like everybody else in the world, you know, when you want a job or a promotion, you go after it. And that’s what I’m doing, I’m going after what I want. So that’s what I’ve been doing and now I think the fans are actually getting behind it, saying, you know what, I like this guy. I know somebody like him. I’m a guy people can get behind if they understand me and I think they’re starting to understand me." - We noted in early November that Antonio Cesaro was working with a broken bone in his hand. It turns out he&apos;s been working with broken fingers and a dislocated finger but continues to gut it out. Speaking of Cesaro, he remains high on WWE&apos;s radar and it was seen as a big deal they didn&apos;t him go under to Ryback on last week&apos;s Raw. However, once this was pointed out, he was booked under to him on last week&apos;s Super Smackdown Live. - The story coming out of last week&apos;s WWE television tapings was to announce Ryback vs. CM Punk in a TLC match for the WWE Championship for the January 7, 2013 episode of Raw but for the match to actually not occur. Apparently the talk was to do an angle with The Rock to come out and make sure Punk keeps the title so he can defend it against him at Royal Rumble. The problem is obvious in that Ryback would be going under which would be solved by having The Shield take care of him. As with anything storyline related, this is subject to change but it&apos;s worth noting Rock is officially advertised for the January 7th Raw and the build to Royal Rumble is expected to begin in full force as the company doesn&apos;t want to "waste" any Rock dates. - Saturday night&apos;s one hour version of WWE Tribute to the Troops on NBC only drew a viewing audience of 1,310,000 viewers. The number was the lowest amongst the networks for the night. The two hour version of the show that aired on the USA Network Wednesday night did an average viewing audience of 2,340,000 viewers. You can read our original report at this link. Click here for more by TV By the Numbers. - We&apos;re told Vince McMahon is keeping the top three matches for Wrestlemania 29 close to his vest but that there was a significant shift in plans as recent as last week. Steve Austin reportedly met with Vince again last week about the possibility of working CM Punk at the show but at this point a deal has not been reached. Even if WWE and Austin had agreed, plans are being kept so secretive, Punk himself wouldn&apos;t know. One observer says Vince feels like he can get a deal done but at this point we can only confirm talks remain ongoing. - In other news, Sheamus emerged last week as a possible Royal Rumble match winner as the only other name we had heard up until this point was Ryback. Are you still in pain following neck surgery? I&apos;m not in constant pain. Easily one of my favorite opponents. So good. If you had not been injured, would you still be in WWE? Might&apos;ve been retired by now anyway. Did Stu Hart ever stretch you on in "The Dungeon"? No, I stayed out arm&apos;s reach, but he got Christian. Who was the best person you ever speared? Edge can be followed on Twitter @edgeratedr. Make sure you follow us @wnwnews. - Many readers have questioned the future of WWE &apos;14 amid THQfiling for chapter 11 bankruptcy protection last week. We&apos;re now able to confirm, with the help of the folks at WWEGaming.com, the game is included in THQ&apos;s product development budget for the fiscal year ending March 31, 2014. Regardless of who assumes the assets of THQ, assuming a successful purchase is worked out, the game will be released. - Last week&apos;s replay of Super Smackdown Live in its normal Friday night timeslot did an average viewing audience of 1,850,000 viewers on SyFy. Adding the audience from the live show on the USA Network (3,330,000) and it did a total viewership of 5,180,000 viewers. - WWE has signed Alexander Jones (@TheZanderJones) to a developmental contract. Jones was a student at Rikishi&apos;sKnokX Pro Academy in Sun Valley, CA. Jones will report to NXT Wrestling in Tampa, Florida. WWE.COM: Moving from the past to the present, how do you think John Cena would have fit in the heyday of The Attitude Era? AUSTIN: John Cena in The Attitude Era. Man, that’s a good question. Yeah, had he been placed in it, and been dealt with accordingly, the John Cena you see now — the face of the franchise, the leader of the pack? Not so much. But I guarantee if you’d have gotten him face to face with “Stone Cold” in an interview, and you know John cuts a good interview himself, if I slapped the s*** out of that son of a b****, I think we’re off and running to make a lot of money. All he needs is to be poked and prodded in the right way. I think John Cena has a hell of a lot of fire and he needs to be in the ring with the right opponent, or the right cat, to bring that out. So in the current environment, you really don’t see that in him. Place [Cena] back 10 years in the ring with “Stone Cold”? You’d have rung the cash register, big time. - Dot com has a "Where Are They Now?" feature on Scotty 2 Hotty. You can read it at this link. - The latest installment of "When Stars & Divas Mark Out" features Shawn Michaels, SoCal Val & Elijah Burke, CM Punk & Lita and Undertaker & Michelle McCool. You can check it out at this link. Been asked the highlight of my WWE year and without question it was being afforded the opportunity by WWE upper management to broadcast the HIAC bout at WM28 featuring the Undertaker, HHH and @ShawnMichaels. Big time bucket list memory for me and a night that I&apos;ll always fondly remember. I&apos;m hopeful that I can call one bout at WM29 just to be a part of the event. Many of us worked some amazing hours over the years to contribute to building this amazing event. When I sit back and see where WrestleMania has come since I made my debut in Vegas at WM9, I am honestly amazed. I see continued use of stadiums for future WrestleMania events and hope that I can be a small part of the proceedings for as long as I&apos;m able. It&apos;s our Super Bowl and who wouldn&apos;t want to be associated with the biggest event in our profession? Old players still like to play. - Tickets for the 2013 WWE Hall of Fame Induction Ceremony are scheduled to go on sale Saturday, January 12, 2013 at 10 AM. There will be a presale beginning on Thursday, December 27, 2012 at 10:30 PM and ending on Friday, January 11, 2013 at 11:59 PM. We haven&apos;t received any passwords as of this writing. The tickets will be priced from $55 to $155. The 2013 WWE Hall of Fame Induction Ceremony will take place Saturday, April 6, 2013 from Madison Square Garden in New York City. Click here for local event information. Click here for Ticketmaster information. - The Rock is now being advertised for the January 22, 2013 Smackdown taping from the Sleep Train Arena in Sacramento, California. This is the go-home to Royal Rumble show. - Ryback, Daniel Bryan & Kane vs. The Shield took place at both holiday live events Wednesday. The bout opened the Raw show in Detroit then headlined the Smackdown show in Chicago. - We noted earlier that Ryback, Daniel Bryan & Kane vs. The Shield took place at both WWE holiday live events Wednesday. The whole thing was a real disaster and caused "complete chaos" backstage in Chicago. The plan was for Ryback & Team Hell No vs. The Shield to open the show in Detroit then fly to Chicago to main event the show there. The problem is this wasn&apos;t communicated to the workers until late in the day and was complicated further by intense weather conditions in Detroit. As Detroit was getting hammered by a winter storm, WWE was attempting to get the six workers to Chicago. Meanwhile, the show in Chicago featured a lot of stalling and confusion as they awaited on the arrival of the aforementioned talent. Kofi Kingston defended the WWE Intercontinental Championship in a triple threat match against Wade Barrett and Alberto Del Rio. After the match the ring crew started to bring out the steel cage for Big Show vs. Sheamus. Finlay, a Smackdown producer,received word they needed to stall and ordered Barrett back to the ring. Barrett got on the mic and called Kofi Kingston back to the ring for a one-on-one match for the Intercontinental Championship. Kofi pinned Barrett and there was more stalling. Barrett then issue an open challenge to anyone in the Smackdown locker room. Ted DiBiase, dressed in street clothes, came out and pinned Barrett in a quick match. The crew then came out, built the steel cage and the show went on to be headlined by Ryback, Daniel Bryan and Kane vs. The Shield. - If the complete chaos we reported on earlier on Wednesday wasn&apos;t a big enough headache for WWE officials, there was another blunder at the Raw holiday live event in Detroit. The plan was to do John Cena vs. Dolph Ziggler in a steel cage match but part of the cage was missing to the point where the crew couldn&apos;t get it setup. The crew had to retreat after an unsuccessful attempt to build the cage and the match was changed to a street fight. - As we reported here at WrestlingNewsWorld.com, a presale for 2013 WWE Hall of Fame Induction Ceremony tickets will begin Thursday night at 10 PM. We&apos;ve received the first password and it is FAMOUS. The presale lasts until Friday, January 11, 2013 at 11:59 PM. 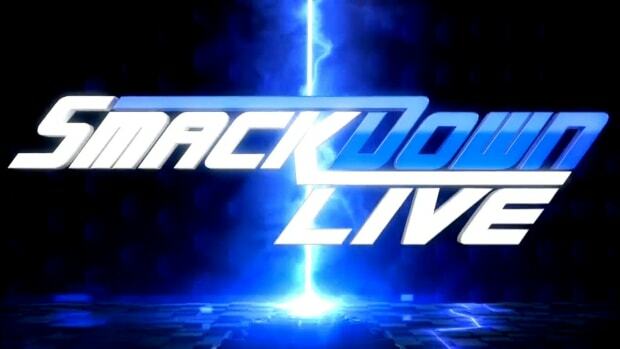 - WWE will return to the Joe Louis Arena in Detroit, Michigan for what is being advertised as a live Smackdown broadcast on Tuesday, April 30, 2013. Group tickets of 10 or more go on sale Monday at 10 AM, while individual tickets go on sale Saturday, March 2, 2013. - Ric Flair was at Wednesday&apos;s Miami Heat at Charlotte Bobcats NBA game from the Time Warner Cable Arena. The panels will be hosted at the US Airways Center in Phoenix, Arizona. - Next week&apos;s WWE Main Event will be headlined by Antonio Cesaro defending the United States Championship against The Great Khali. - Ezekiel Jackson was asked by a Twitter follower on Wednesday if he had any idea when he would be returning to the ring. Jackson responded by saying "Yep" and used the hashtag "soon." You can follow Jackson on Twitter at this link. Obviously the numbers are very low but considering it was a taped show on Christmas Eve, do not look for WWE to read much into them. 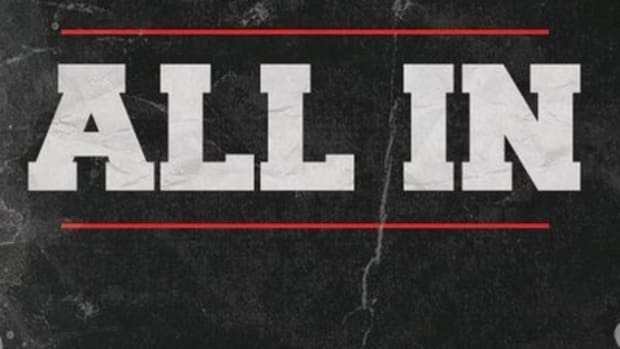 - WNW reader Brandon van Reenen sent this in… WWE has officially released the full version of Raw&apos;s theme song, which is listed as "The Night" by Kromestatik. The song can be downloaded at iTunes at this link. - If you&apos;re looking to purchase tickets to the 2013 WWE Hall of Fame Induction Ceremony in the presale, another password is DIGITShere on Ticketmaster. - We noted earlier the Christmas Eve episode of WWE Raw only did an average viewership of 3,143,0000 viewers, the show ended up doing a 2.2 cable rating on the USA Network. The number was abysmal, the lowest in 15 years, however, not much was expected given the show aired from tape on a major holiday. - Jamie Noble, who works backstage in WWE as a producer, worked Thursday night&apos;s Smackdown holiday live event in Green Bay, Wisconsin against Fandango. - Speaking of the show in Green Bay, long-time Packers wide receiver Donald Driver was in attendance. - There were several celebrities in attendance at Thursday&apos;s Raw holiday live event in New York City. Phil Collins, Betty Skaaland and DMC were there as well as the families of Paul Heyman and Zack Ryder. - We&apos;ve received two more passwords for the presale to obtain tickets to the 2013 WWE Hall of Fame Induction Ceremony from Madison Square Garden in New York City on April 6, 2013. They are WWEHOF and FAMOUS. You can purchase tickets through Ticketmaster at this link. - The injury that caused TNA Wrestling to pullKurt Angle from next weekend&apos;s live events is to his groin. He noted on Twitter it&apos;s a minor injury and he&apos;ll be out a couple weeks. He also reaffirmed that his knee is "good." Spike TV, the network that carries all of TNA&apos;s programming, is a subsidiary of MTV Networks, wholly owned by Viacom, which also owns CMT. It looks like the network had Impact Wrestling help promote other programming for the sake of drawing the wrestling audience. Obviously this doesn&apos;t mean Austin is headed to TNA in any fashion. 3 Knee surgery I&apos;ve had eight back surgeries, I&apos;ve had knee replacements, I&apos;ve had both hip replacements. I only need one more surgery – to fix my right knee – then I&apos;m going to go for the TNA world title. I want to be 59 years old and be the champion. Above knee surgery are a 747 jet and thirty years of his life. Following knee surgery at number four on his list is hair. - TNA Wrestling will tape special programming on January 12, 2013, the day before their Genesis pay-per-view, from Universal Studios in Orlando, Florida. There will be two taping sessions with one featuring seven tag team matches and a gauntlet match. The second session will focus on X Division action and will feature an X-Scape Cage match and an Ultimate X match. Fans will be able to attend as part of Genesis VIP Weekend. Click here for more information. - Hulk Hogan will open a 20,000-square-foot indoor and outdoor restaurant and bar located at the Best Western Bay Harbor Hotel in Tampa, Florida called "Hogan&apos;s Beach." The restaurant is scheduled to open on New Year&apos;s Eve and includes waterside dining, live outdoor entertainment, a mechanical shark ride, authentic tiki bars, a giant video screen on the beach, as well as indoor and beachfront dance floors. We&apos;re told Hogan has "zero" to do with the day-to-day operations but his name and money are behind it. Chef Robert Uzzillia was described to us as a "great head chef" and the day-to-day will be run by a "tremendous" outside management company. Some may be writing this off but from what we&apos;re told, the project has the potential to do really well. Click here for more. - This week&apos;s Impact Wrestling did an average viewing audience of 1,330,000 viewers on Spike TV. If you missed the broadcast, you can read full results by Alex Barie at this link. What is going on with the Motor City Machine Guns? Alex Shelley left TNA Wrestling and is working dates over in Japan. WWE is believed to have interest but has been reluctant to hire him due to TNA&apos;s ongoing litigation against them. Chris Sabin tore his ACL and required surgery last summer. Sabin&apos;s real life girlfriend, Velvet Sky, just recently re-signed with TNA. Why is Sin Cara still on the WWE payroll considering his disappointing in-ring work, various injuries and past issues with wellness? WWE hasn&apos;t completely given up on Sin Cara despite many fans already labeling him a monumental failure. I actually think the fact Cara, a major star in Mexico, has not been able to ascend to the top of WWE goes to show just how valuable Rey Mysterio is to the company. Triple H is behind Sin Cara and they&apos;re still hoping for a possibly Mysterio vs. Cara match at Wrestlemania but so far he hasn&apos;t had the success many had hoped. What happened to Evan Bourne? Evan Bourne was finishing up a 60-day Wellness suspension after testing positive for synthetic marijuana when he was in a car accident in March where he suffered a mid foot fracture (also known as a LisFranc fracture dislocation). He&apos;s been working hard to come back as we&apos;ve been tracking his progress that you can read about on the Evan Bourne news page. Do you think Chris Jericho will come back to WWE in 2013? Chris Jericho left WWE under the assumption he would be back, so yes; I do believe he&apos;ll be back at some point next year. Jericho is one of the few people that has had legitimate success outside of the ring and it&apos;s awesome he&apos;s able to pursue both his dreams. He has a good relationship with WWE and will be back when he can hammer out a deal desirable for both sides. What is the deal with some of the independent standouts that have come to WWE but have not been called up? Wrestlers like Chris Hero & Brodie Lee? Chris Hero (as Kassius Ohno) and Brodie Lee (as Luke Harper) are working in NXT Wrestling in preparation for the main WWE roster. WWE&apos;s developmental system is loaded with talent and it all comes down to creative plans and the correct opportunity before they are called up. There is no guarantee when a worker signs a developmental contract they will get the call-up but it&apos;s up to them to work hard to impress company officials in Florida. What has Dustin Rhodes been up to since being released from the WWE? Dustin Rhodes has been finding work on the independent circuit and is available for seminars and signings. Those interested in booking him can do so at drhodesinc@gmail.com. To keep up with his latest updates, you can follow him on Twitter at this link. For those unaware of his WWE release, Rhodes was terminated in May 2012 after working backstage as a producer. We broke the news here on WrestlingNewsWorld.com Premium. It&apos;s been three months since the last time we saw Christian and Jack Swagger on WWE television. What&apos;s the latest on their status? Christian is recovering from injury and expected back some time next month. We&apos;ve heavily discussed his status on numerous occasions and for the latest, check out his news page. As for Jack Swagger, he was believed to be on his way out of the company at one point but met with Vince McMahon in November and was assured he would be repackaged. Swagger has a new look and is working current WWE holiday live events. What are your thoughts on Hulk Hogan wanting to become the TNA World Heavyweight Champion? Hulk Hogan jokingly said he wanted knee surgery for Christmas and would then go for the TNA world title. We thought it was funny and published the comment although some are speculating this is Hogan hinting he wants to wrestle again. You never know with Hogan, which is why I think the comment generated such a large response. Seeing now that he is over 400 days, how much longer do you think CM Punk will hold the WWE Championship? The plan has been for months to do CM Punk vs. The Rock at Royal Rumble for the WWE Championship. Due to the fact the WWE roster is very thin and Punk is over like rover, his title reign has been extended to historic proportions. The big question now is when does he drop it and who does he drop it too? I&apos;m not crazy about Rock (a part-timer) over Punk, just like I wasn&apos;t crazy about Rock over Cena but I don&apos;t see how Rock can go under at Royal Rumble and have appeal for Wrestlemania. He&apos;s confirmed for Elimination Chamber so if I&apos;m booking, I&apos;m putting Rock over at Royal Rumble, having him successfully defend at Elimination Chamber and drop it at Wrestlemania in the ultimate "passing of the torch." The outcomes are unknown and this is my scenario much like you can come up with your own scenario. I know the same as everyone else as to why Bruno Sammartino and Owen Hart won&apos;t enter the WWE Hall of Fame any time soon, but what would it do for the WWE if they could induct them? After all, they do seem very eager to induct both of them and even though Bruno himself doesn&apos;t want to, they don&apos;t seem to have an &apos;If he doesn&apos;t want us, we don&apos;t want him&apos; attitude. Martha Hart, the widow of Owen, has blocked him from being inducted into the WWE Hall of Fame despite many in the company pushing for it to happen. Triple H has met with Bruno Smmartino about inducting him next year but he doesn&apos;t want too because of his strained relationship with Vince McMahon. I heard Hunter put on a "full court press" to get him to agree but so far, the only likely name for next year&apos;s Hall of Fame is Mick Foley. I don&apos;t know how else to answer this question other than Owen is extremely unlikely because of Martha and Bruno says no because of Vince. Foley at this point has been ordered to be protected because he is the potential face of next year&apos;s class. I know it&apos;s still very early on in their WWE careers and you don&apos;t like answering questions like this, but if you could only pick one, who do you think has the brightest future? Antonio Cesaro, Damien Sandow, The Shield, Big E Langston? In my opinion I think they all have bright furthers, but there&apos;s just something about Cesaro that reads face of the company to me. What I don&apos;t like about this question is it&apos;s impossible to give a satisfactory response. We haven&apos;t seen enough of any of them (in WWE) to gauge their longevity. It&apos;s also important to remember that looks can be deceiving as two years ago Wade Barrett seemed ready to break out and heading into 2013, he&apos;s nothing more than a midcard talent. However, based on what we have seen, Antonio Cesaro is the "right now" prospect high on the WWE radar but even he has many hurdles to cross before entering the main event. Sandow is a guy Vince McMahon likes but he hasn&apos;t come close to reaching his full potential. The Shield tore down the house at WWE TLC in a match of the year candidate although it&apos;s still a very small body of work to make any sort of long-term judgment. I&apos;m unable to judge Big E Langston at all until I at least see him work a match. I was wondering if you could give us more details about your relationship with WWE. I&apos;ve recently read that you are contacted on a regular basis by WWE representatives concerning the content of your website despite how they blatantly bury internet websites regardless of their actual value. So simply put, what kind of discussions and information do you generally talk about? WWE has employees designated to handle the company&apos;s relationship with the media and their job is to communicate with us to help maintain the accuracy of information. There are times WWE will contact us over stories and there are times when I will contact them for confirmation. However, my sources maintain the highest level of priority in bringing information to the readers of Wrestling News World. I have many close relationships that help me break stories before anyone else and I always stand by my sources.